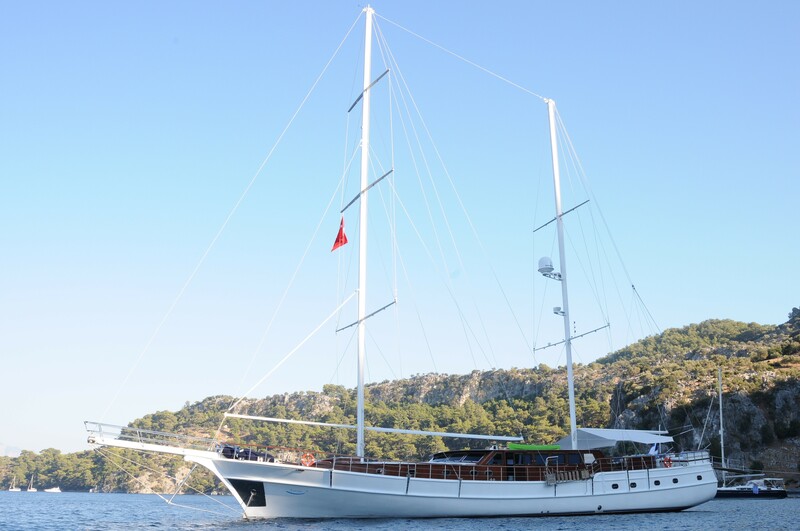 Sailing Gulet SMILE was built in 2010 and measures 36m (118ft). 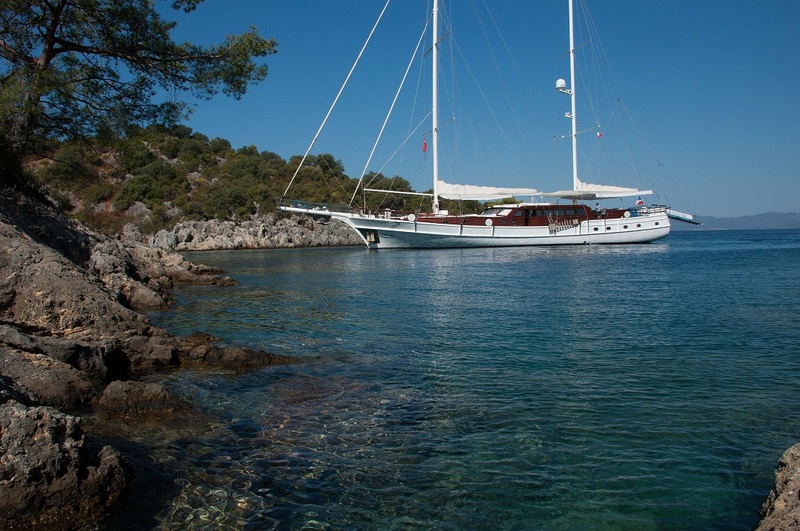 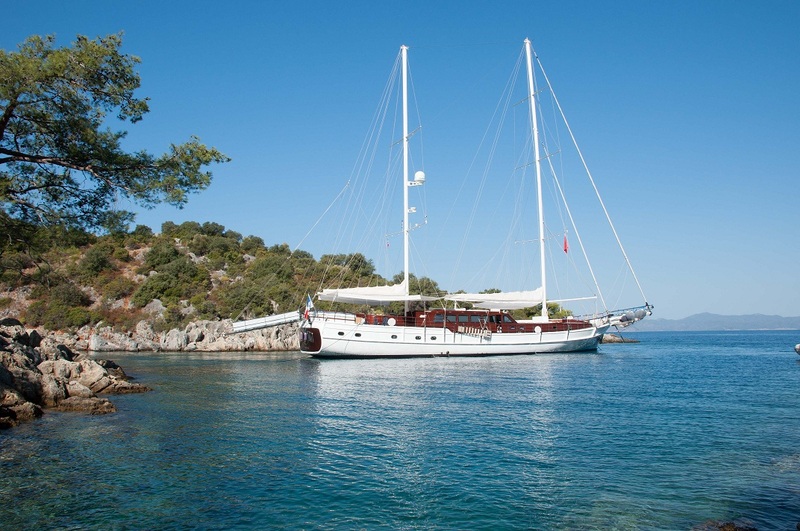 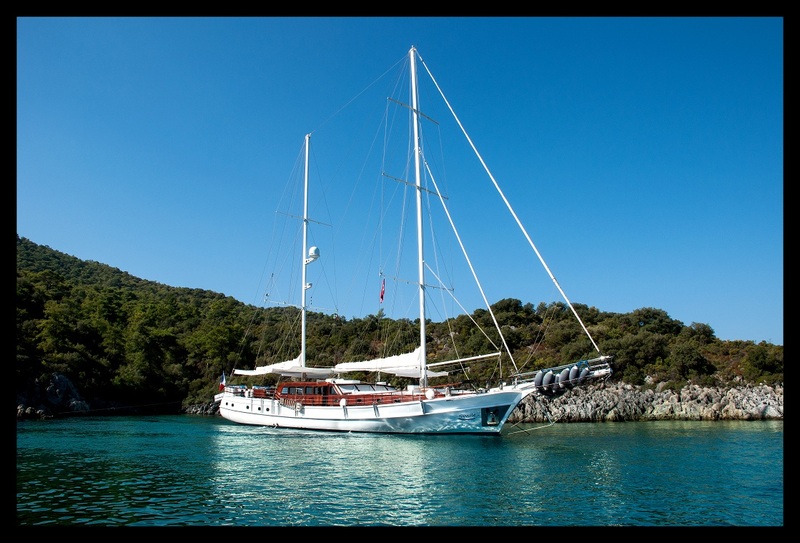 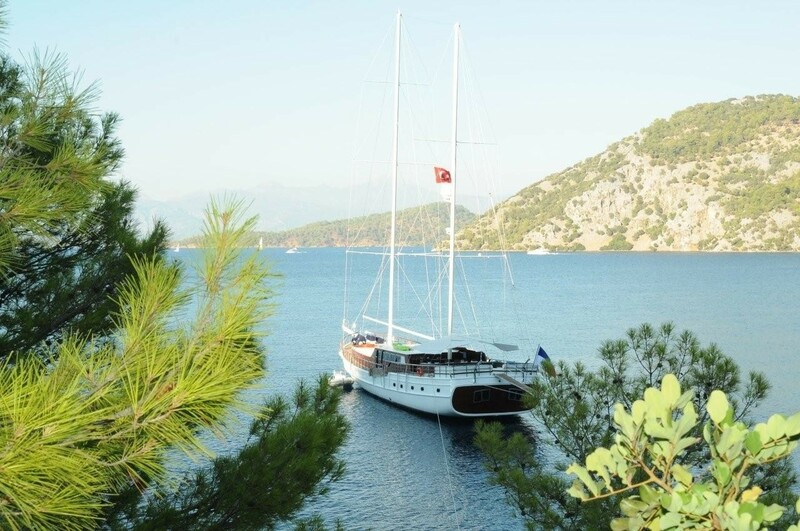 The yacht is a schooner rigged Gulet design, offering deluxe crewed yacht charters in the Greek and Turkish waters. 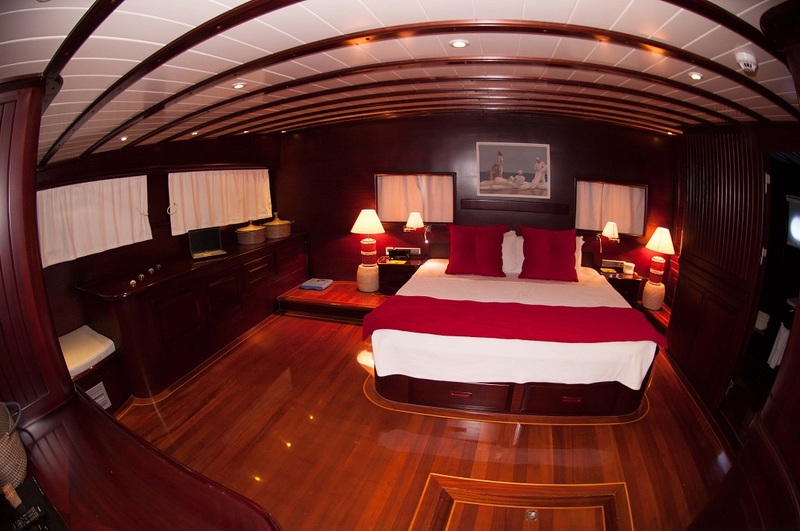 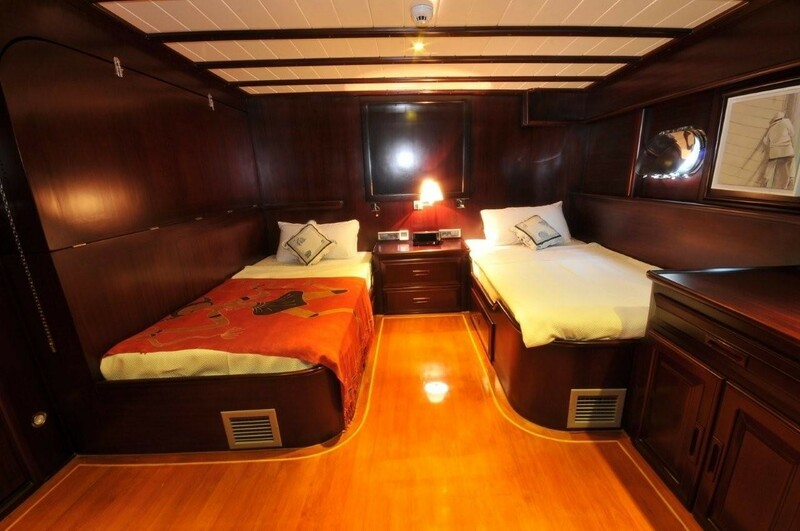 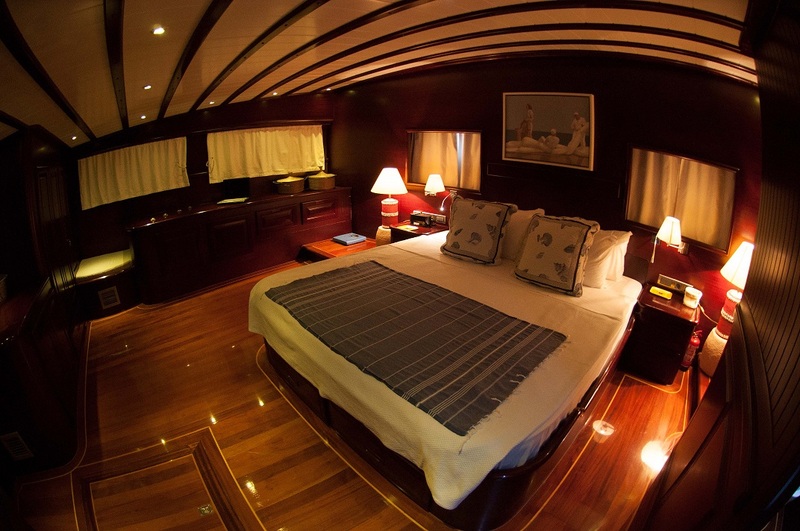 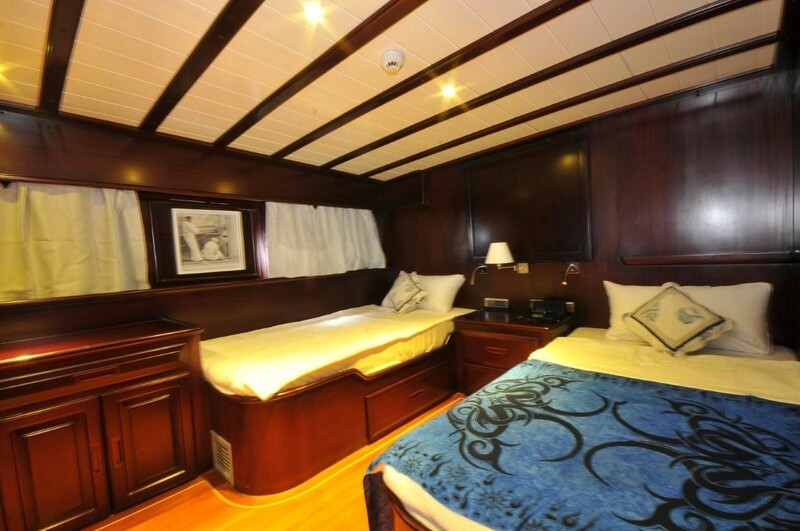 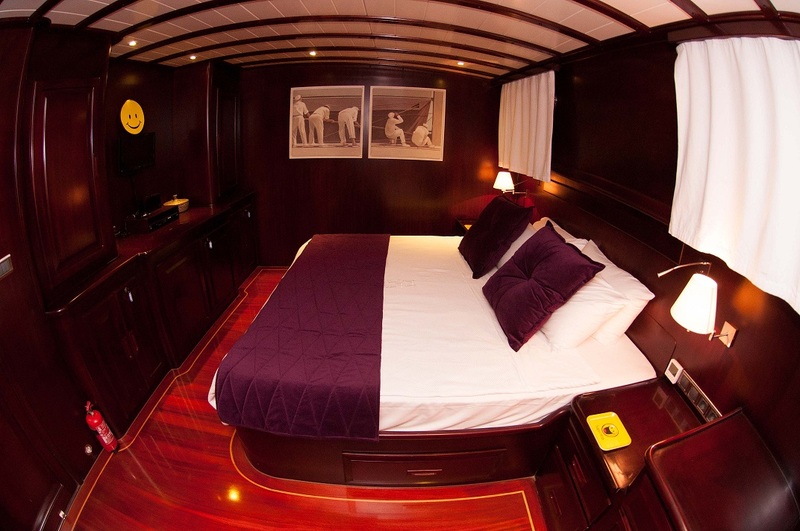 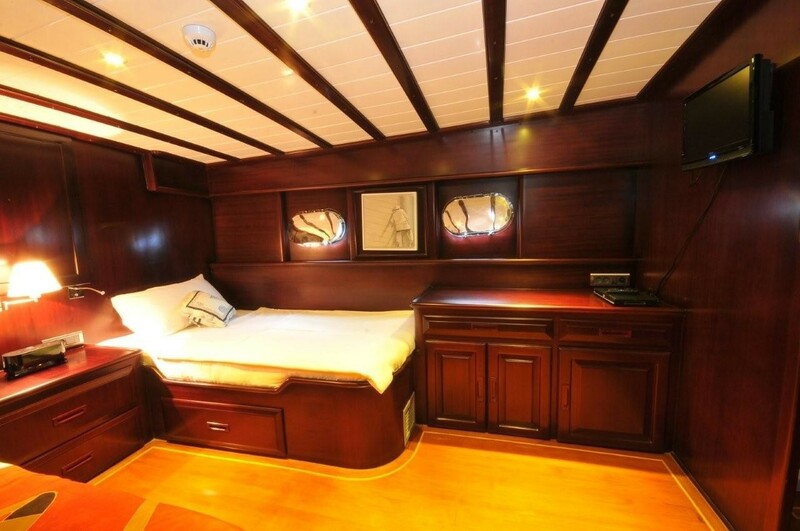 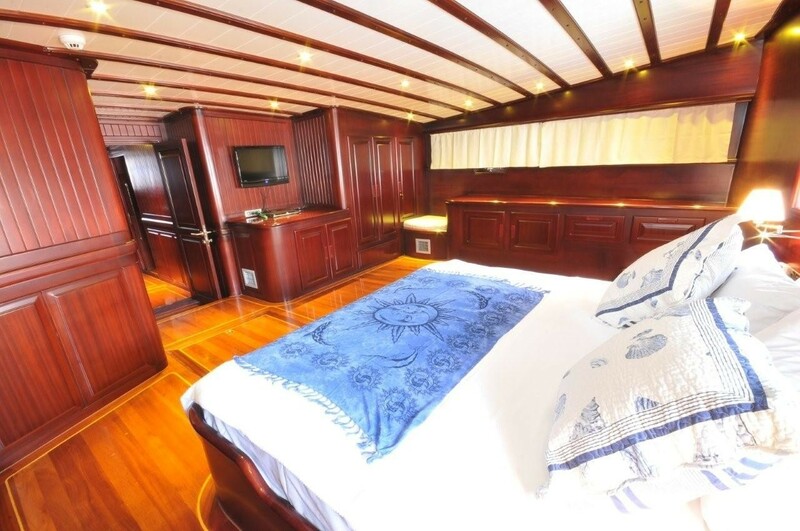 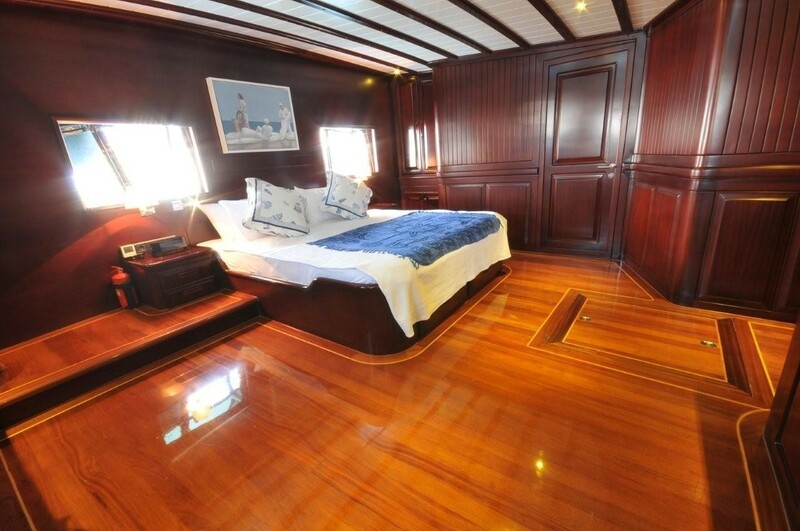 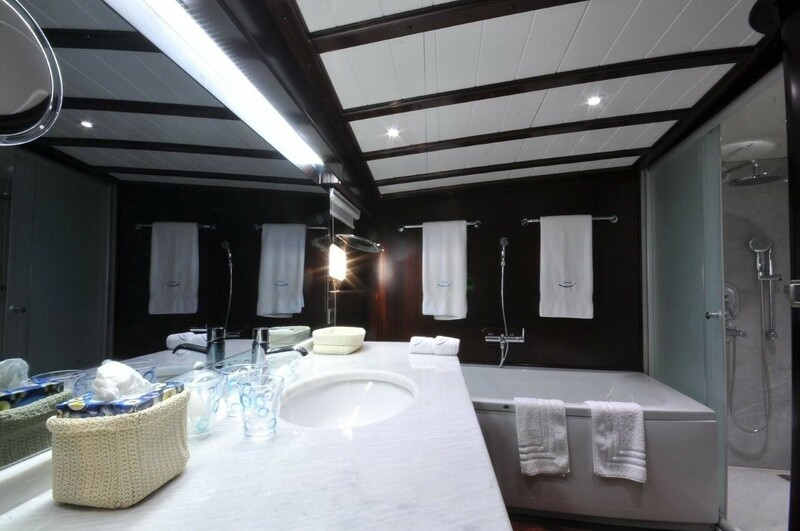 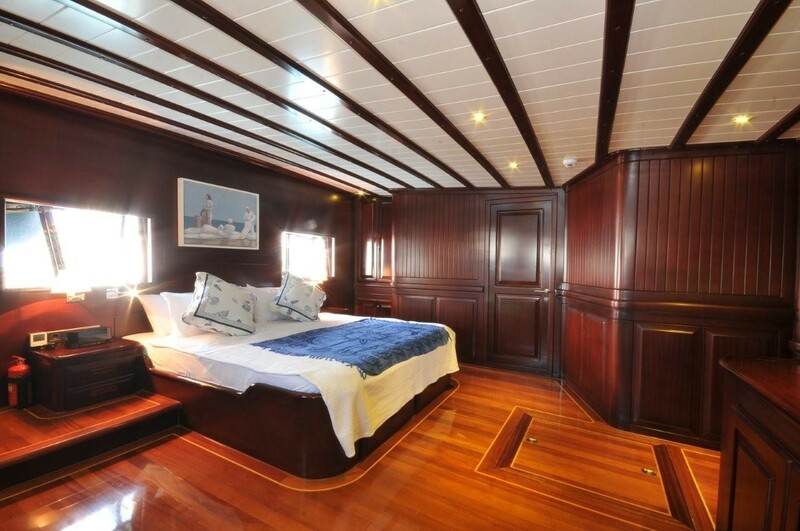 S/Y SMILE can accommodate up to 12 charter guests, in 5 en-suite cabins. 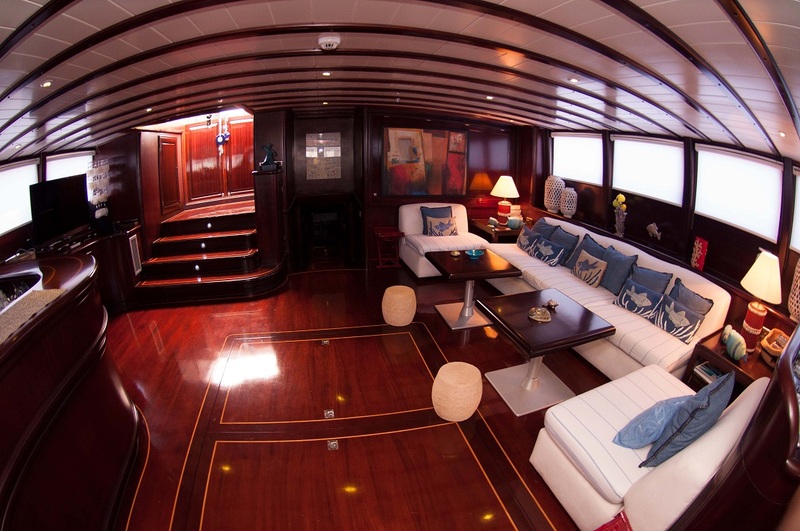 The SMILE sailing yacht features a contemporary elegant interior, boasting warm mahogany woods and beautifully inlaid floors throughout. 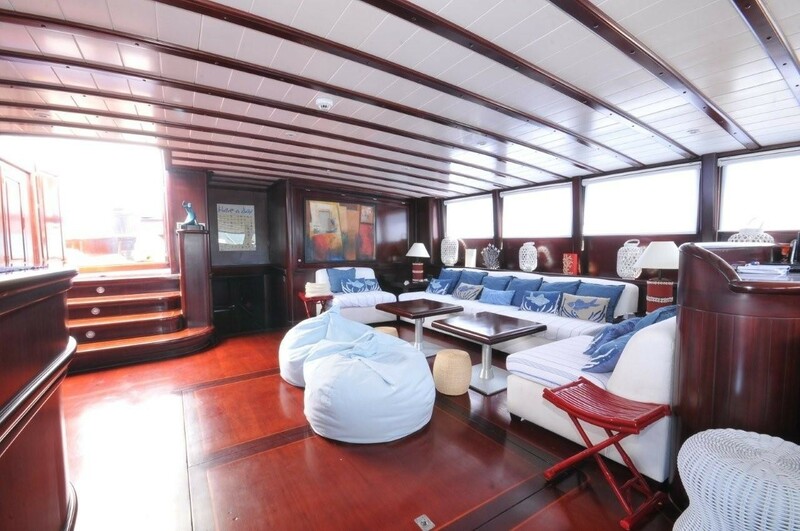 The salon is raised with surrounding windows, creating an open airy ambiance. 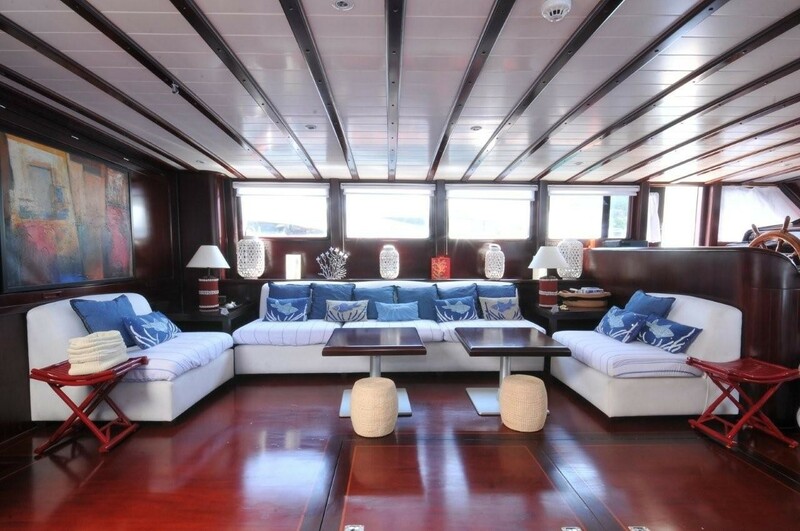 On the port side, a lounge area offerS ample seating on a crisp white settee, with adjustable tables. 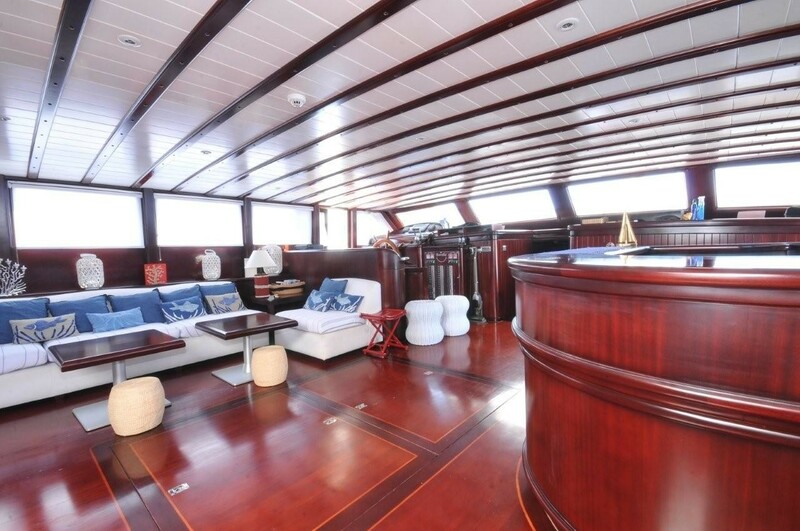 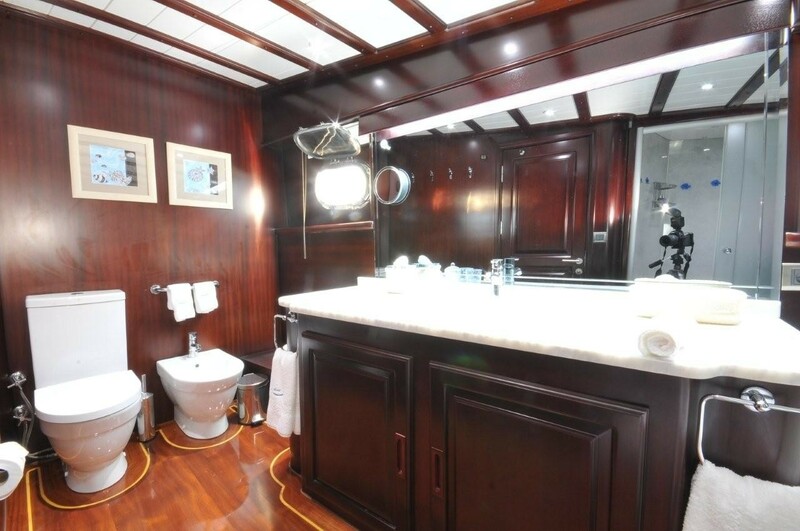 To starboard, a complete wet bar and full entertainment system, ensure optimum socializing and relaxation. 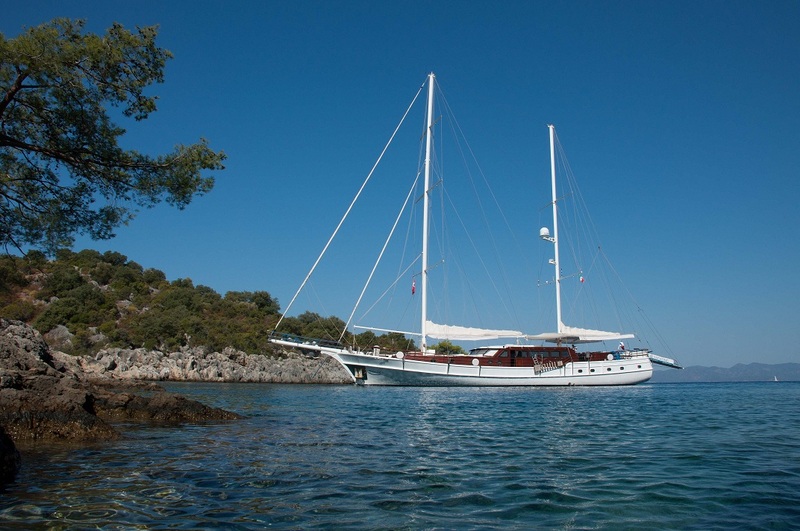 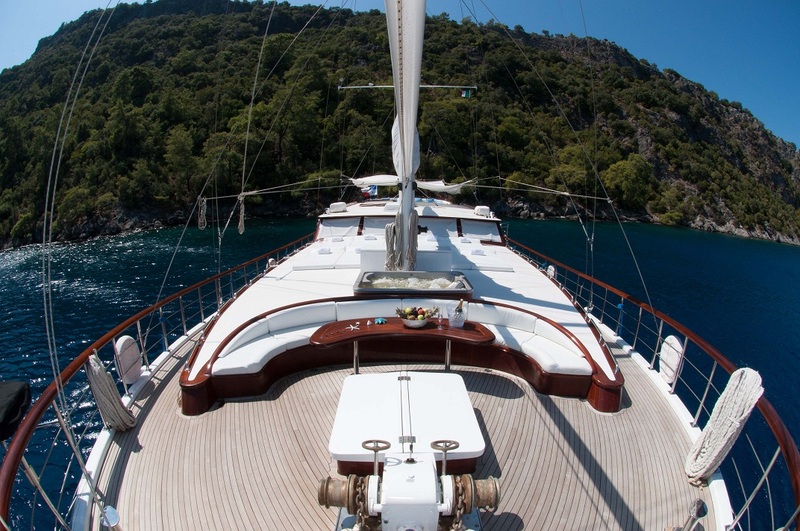 S/Y SMILE is the perfect yacht for enjoying the warm East Mediterranean climate. 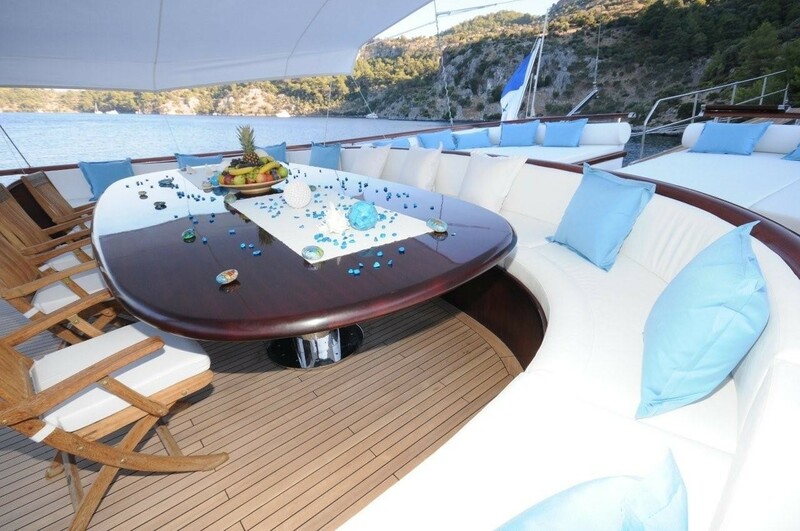 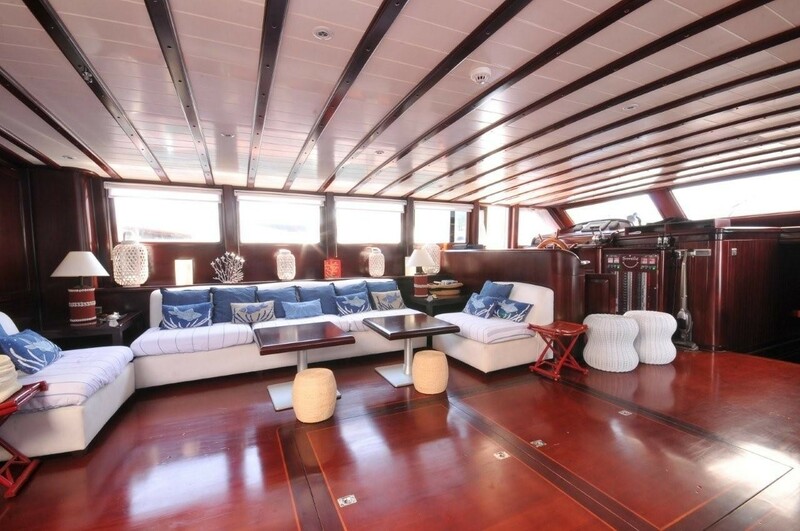 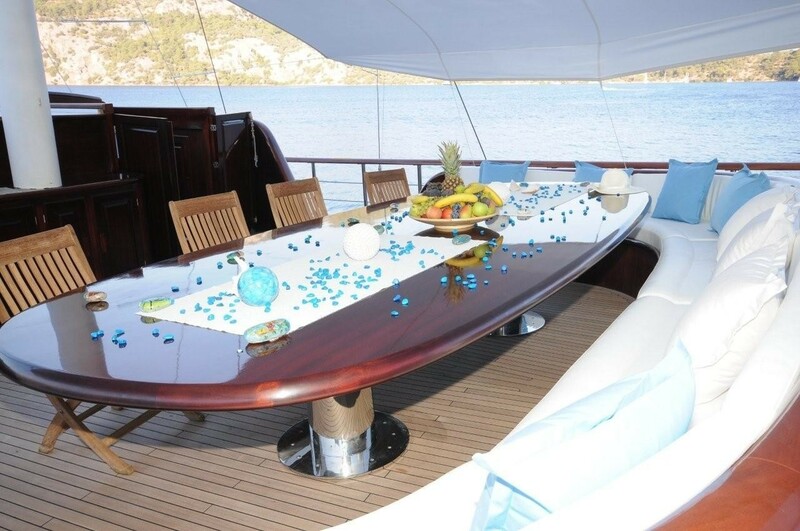 The aft deck is spacious, offering shade, an alfresco dining option and 2 massive aft sunpads. 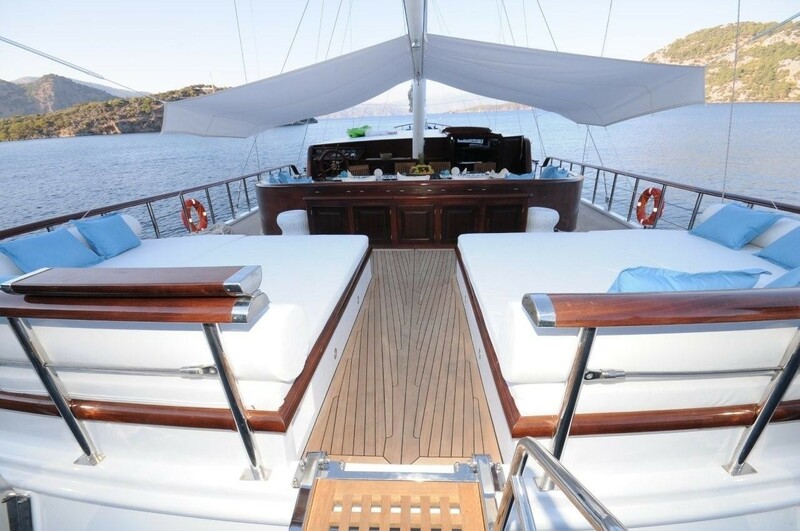 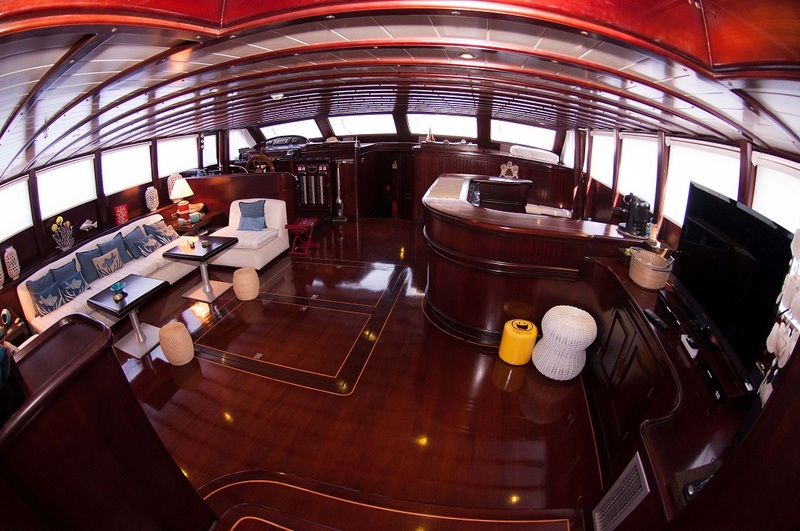 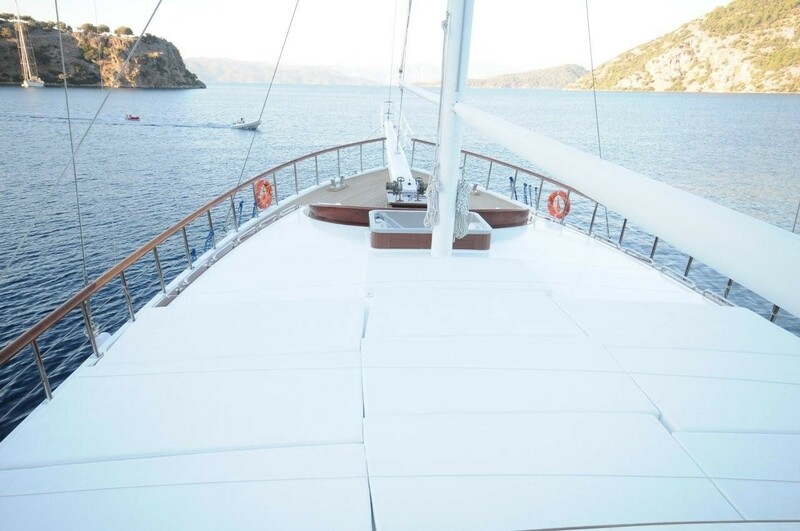 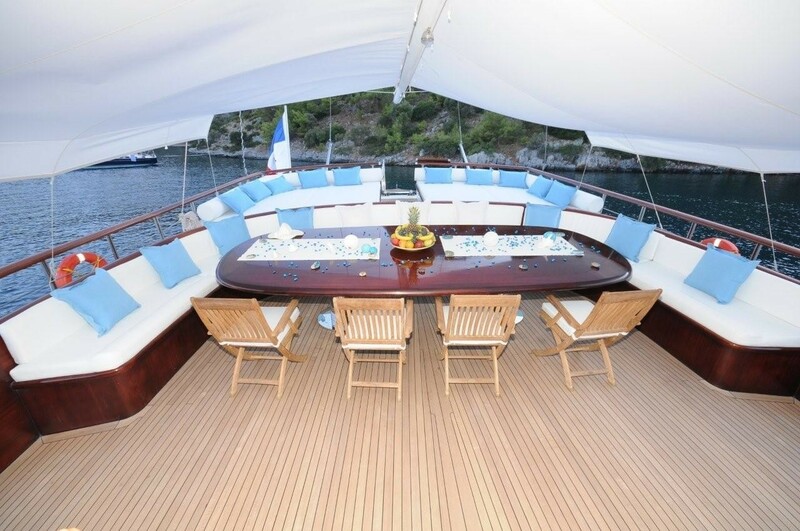 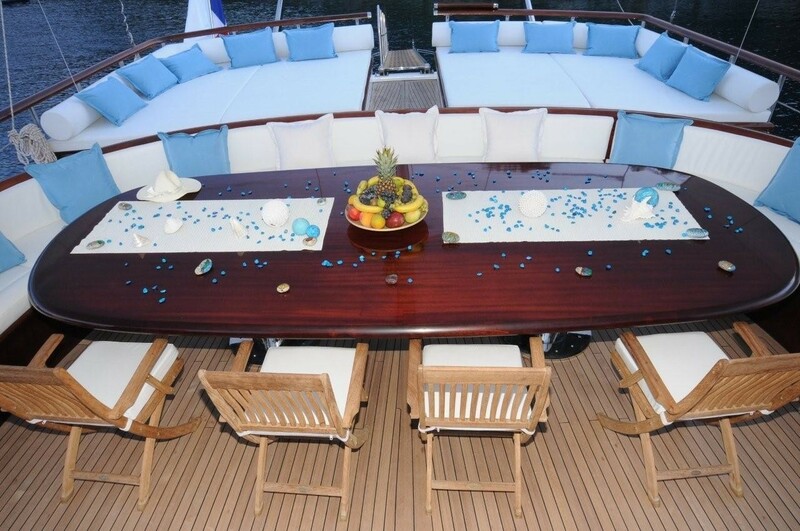 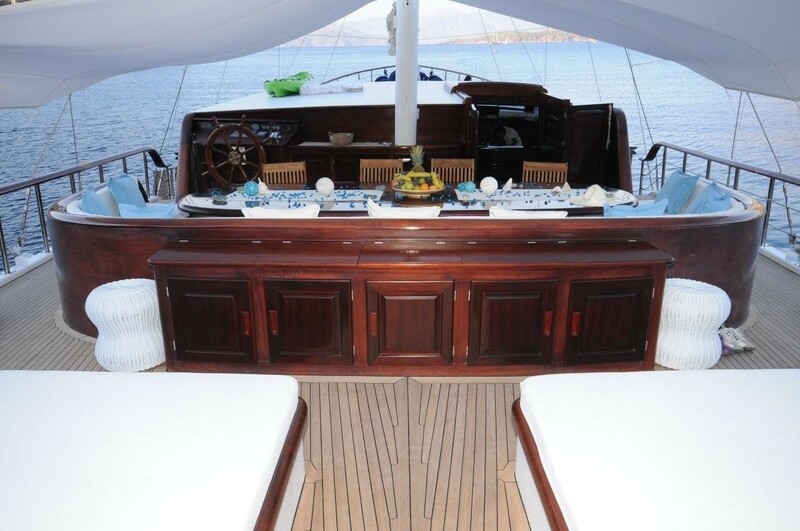 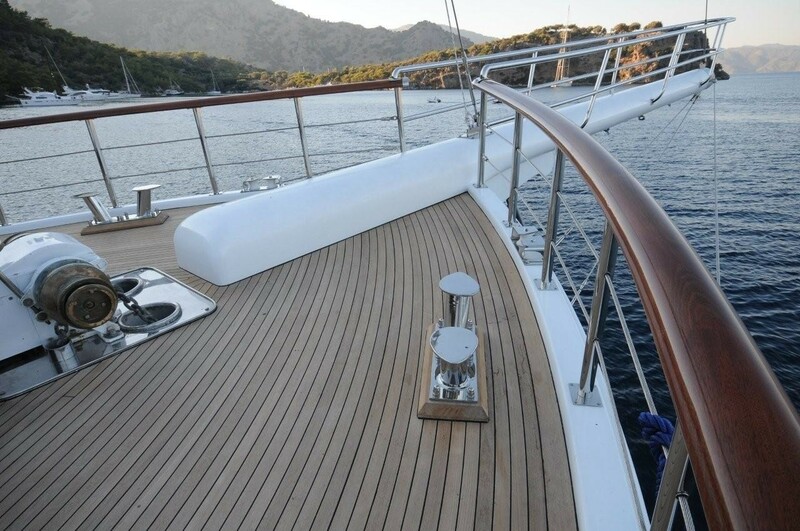 The full teak decks wrap around the yacht, providing effortless access to the foredeck. 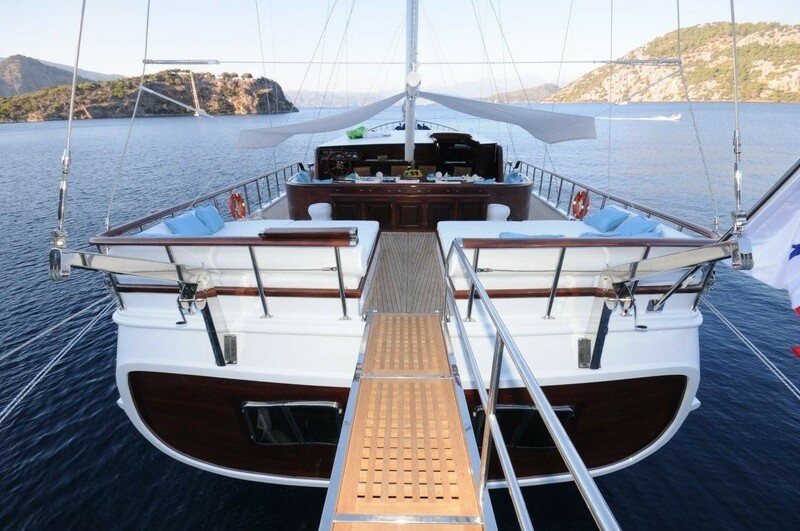 The foredeck boasts raised sunpads for the sun worshipers, a casual alfresco dining area and deluxe hot tub. 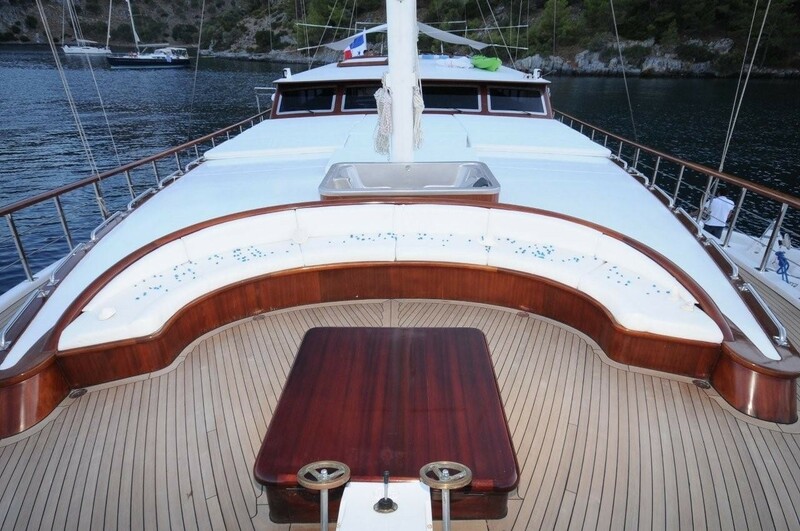 Charter yacht SMILE has a beam of 9.3m (30.5ft) and a draft of 3.7m (12.1ft). 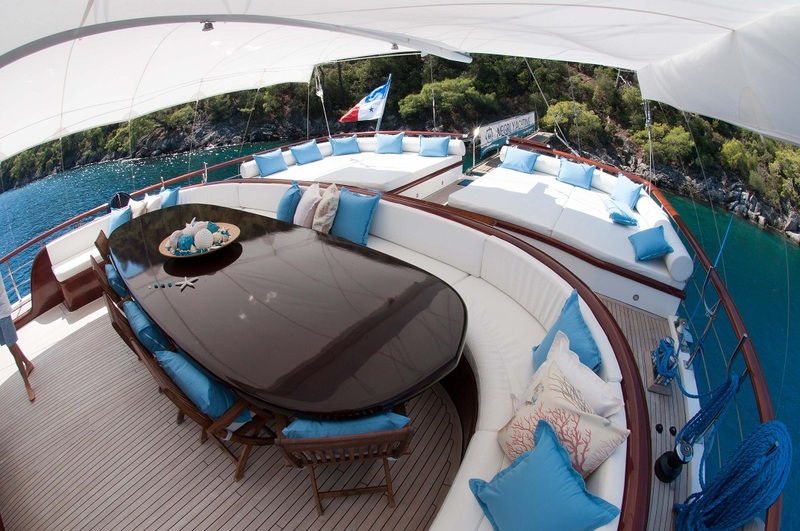 The yacht has a professional crew of 5, ensuring a memorable luxury yacht charter experience. 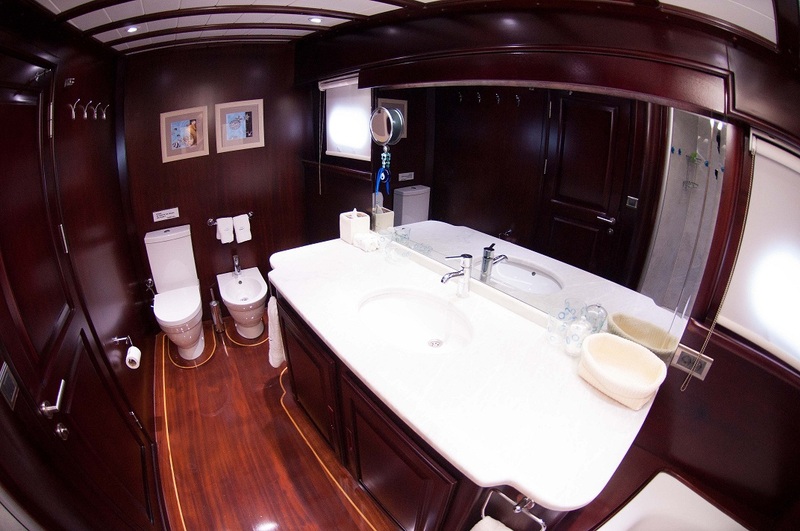 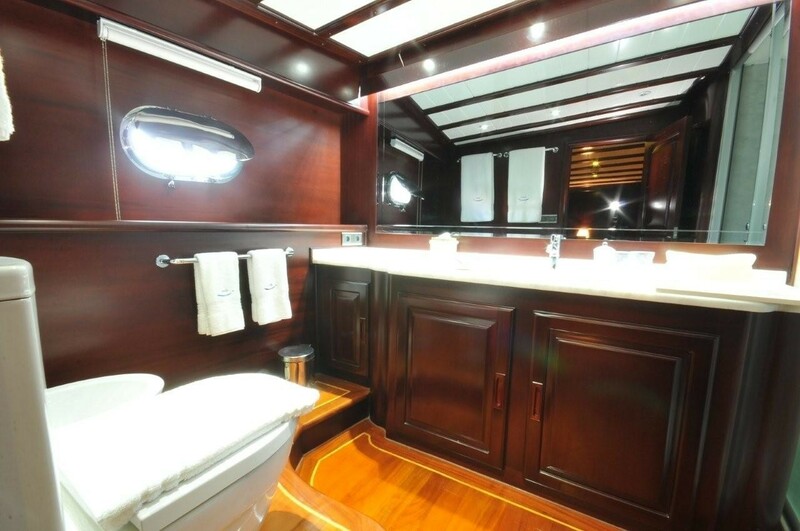 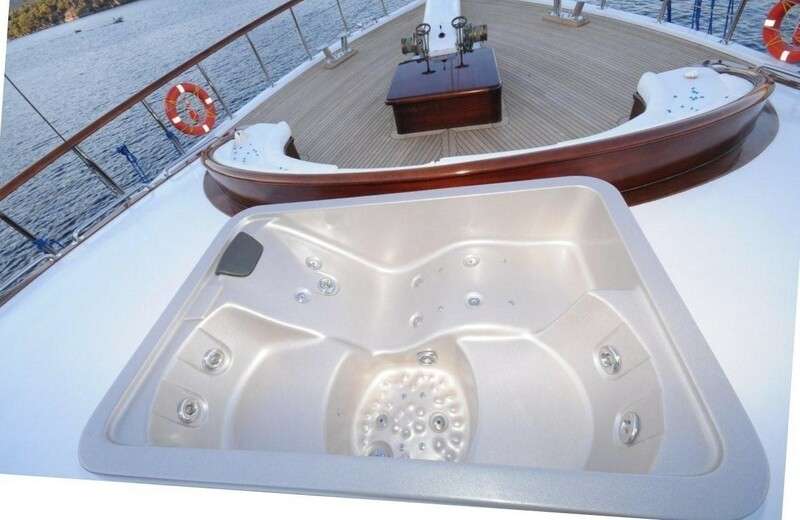 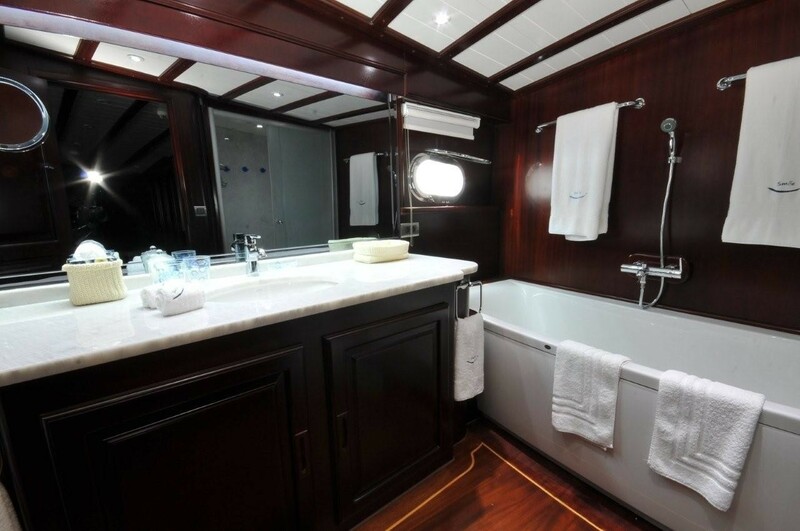 The SMILE charter yacht has a Tender, A/C, Hair dryers, Hot tub, TV in salon and each cabin.